Welcome to Hannah's Cottage Bed and Breakfast, the perfect choice for an escape to Devon. Located in Crackington Haven, Hannah's Cottage is a delightful detached characterful holiday getaway situated on a Farm. Set in an area of outstanding natural beauty and less than 5 minutes from the south west coastal path. At Hannah's B&B we pride ourselves in providing comfortable rooms and a hearty breakfast of your choice all washed down with plenty of tea or coffee. 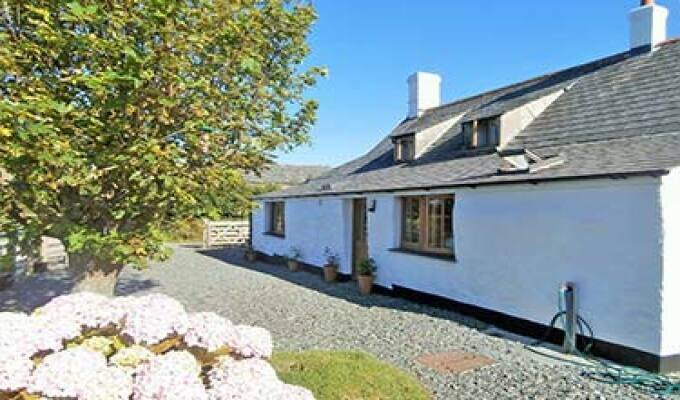 This charming cottage offers stylish accomodation whilst retaining it's original features. The living room offers the perfect spot to relax and unwind from the days activities. Alternatively take yourself off into the garden and soak up the amazing views .